Before using accounts receivable batches the user will need permission set for their login in User Settings/Accounts Receivable. For EFT deposits a GL account must first be selected in Company Settings/Special Accounts/AR Accounts. It is recommended that a new GL account is added in the cash group for this purpose. Only customers that have the banking information added will be added to the EFT batch. 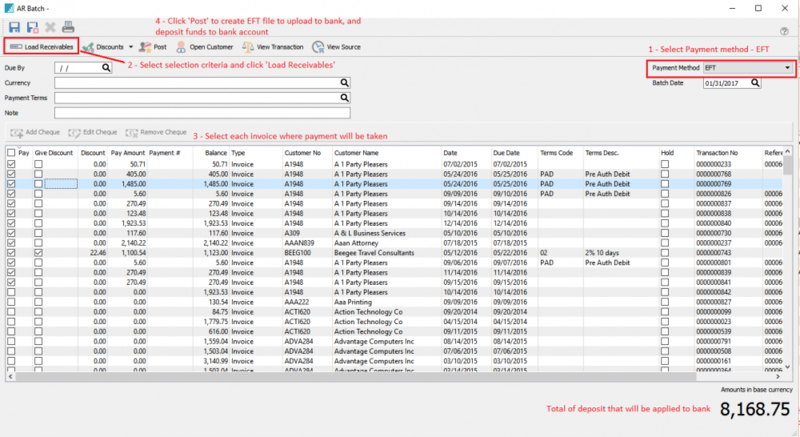 Go to the ‘Billing’ tab in customer edit to add the Institution, Transit and Account Number as below. Accounts Receivable batches can be created and saved for later posting. Accounts receivables can be processed as a batch. The user can take a stack of cheques and process them together in a batch, print a deposit slip and then transfer the batch in one step to the bank. When creating a batch the user can select ‘EFT’ as the payment method and then when the batch is posted it will prompt the user for a location to save the CPA1465 (“005”) file so that it can be uploaded to the bank. 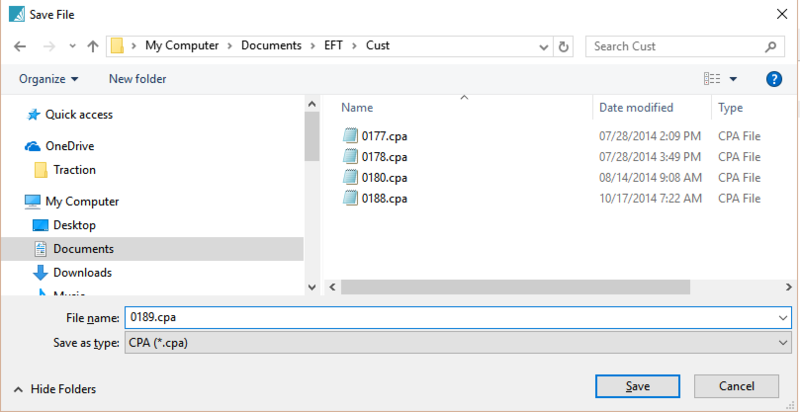 When posting the EFT batch the user will be asked to save the CPA1464 file onto their computer, from where they will upload it to the bank for processing. 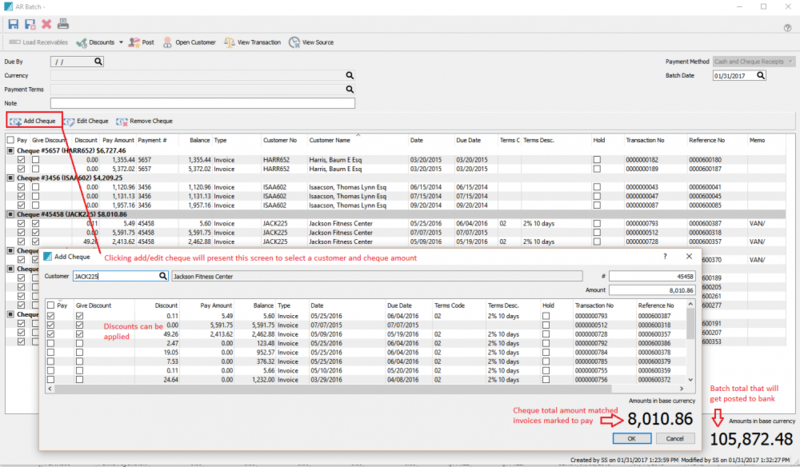 The user can then email the receipts to the customers and print the deposit report for their records. Lastly the user will be asked if they want to transfer the complete deposit amount from the EFT clearing account to the bank. In GL transactions the posting will look like this. *NOTE: The filters are set to retrieve source type ‘EFT’ and the document matches the EFT file number uploaded to the bank.